When you want to buy insurance for a small boat we pride ourselves on being able to provide a quality small boat insurance policy at highly competitive rates... nothing more, nothing less. Small boats that we provide boat insurance for to literally thousands of UK customers include: Dinghies, RIBS, Rowing boats, Sailboards. Deal only with fully named UK staff. Calculation of a small boat insurance premium requires the calculation of an insurance percentage rate (based upon risk) which is multiplied by your combined vessel value. This rate is then supplemented by any relevant factors such as racing cover, mooring location, claims history, any extra stated requirements, tax and finally any increased excess discount is applied. Is it a legal requirement in the UK to buy boat insurance? No, but you may need cover to access certain private boatyards and marinas. If in doubt, always check locally in advance. If you do risk it, buying small boat insurance is usually quick and a 3rd party policy can cost as little as £28.68 per year. Can I buy small boat insurance online? You can usually buy boat insurance immediately, but only under certain circumstances might you not be able to; abnormal valuations, claims history, vessel age, risky cruising ranges, commercial vessels, vessels undergoing build or refit or repair. Check your boat value is correct compared to real world values... this is the single most important thing. Secondly, certain factors are statistically known to increase the risk of claims: long distance cruising, racing, non-private/ unprotected moorings, older vessels. When buying small boat insurance you'll need to know your boat's make and model, year of construction, length, legal owner(s), cruising range, mooring type/ marina name, no claims years / any recent claims and place of registration (UK or otherwise). You will also need to submit any no claims evidence and for certain larger older vessel owners evidence of a recent boat survey. 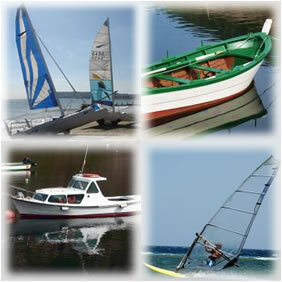 Our insurance policies do all usually supply additional options which are boat type dependent. Usual options include; no claims protection, legal cover, spars/ sails/ rigging/ contents cover, racing cover, increased policy excess and water toys/ skiing. Of course, our insurance matches anything available in our industry but we want you to be entirely confident you're getting the best deal particularly if you have a very high value vessel, insure multiple vessels or have special requirements. Equally if in doubt, or you get a better deal elsewhere give us a quick call on 01684 564 457. Remember we always have qualified staff immediately at hand to tailor your package to your needs. We're a fully licensed UK-based company, with an enviable reputation within the Marine Insurance industry, don't pay more and accept less. To get covered in less than 5 minutes go to... boat insurance quotes.